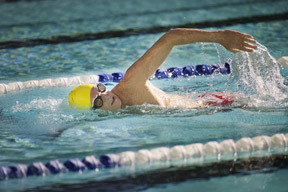 Improve your swim skills through independent practice. Westside Extension now offers adults time in the pool without instruction. Our 40-foot-long, 4-foot-deep heated indoor pool is perfect for our students looking for extra practice, or for anyone who wants a low-impact workout at your own pace. No entry the last 15 minutes of session. Enrollment limited so register early! Please read: No entry the last 15 minutes of session.